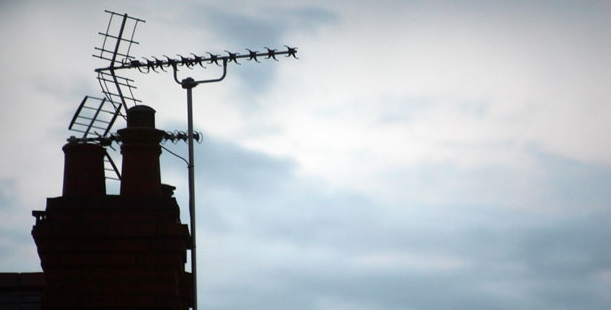 Stormy weather across the UK has outed TV aerial and dish installations that require additional work. Strong winds across parts of southern Britain have had the power to cause some aerials and dishes to become misaligned, causing viewers to lose reception, or even fall down completely. A prolonged spell of heavy rain has also caused some installations to be affected by water ingress. Cables affected by water damage can no longer carry TV signals effectively. Additionally, a period of thick cloud and heavy rain in some areas has made satellite reception via some mini-dishes difficult and subject to picture blocking or loss of signal. Generally larger dishes have more reserve for when the satellite signal is weaker during heavy rain periods. Those who have ongoing reception problems following the stormy spell of weather should contact a local reputable aerial installer. Sky subscribers can consult Sky's troubleshooting tool for help and advice. Additionally to any issued caused by the recent storms, viewers in the Plymouth area may experience reception problems due to planned maintenance work this week. Although weather dependent, maintenance work at the Plympton mast, originally advertised for last week, is due to take place until 25th November 2016. During working hours (0900-1700), a loss of service of up to three hours is possible, whereby it won't be possible to watch Freeview. FM and DAB digital radio services broadcast from the mast will be subject to periods of reduced power, causing poor reception for some listeners. Meanwhile in Sussex, BBC Radio Sussex and BBC National DAB from the Heathfield transmitter will be subject to a spell of reduced power, meaning some listeners may lose their radio signal at some point until 23rd November 2016. The work is due to take place during working hours, but the exact timing is weather dependent.